The $200,000 WinStar Kentucky Cup (G2) is the marqee race on Turfway Park's rechristened Kentucky Cup Day of Champions on Sat., Sept. 24. The series, which is being sponsored by WinStar Farm for the first time, features five stakes serving as key Breeders' Cup preps. The Classic is headlined by General Quarters, winner of the Grade 1 Blue Grass S. at Keeneland and earner of $1.2 million. Track favorite Baryshnikov will also garner plenty of support with four wins in his last five starts over the track. The Classic produced the 2009 Breeders' Cup Mile winner Furthest Land. Over its 15 year history, the race has attracted champions Thunder Gulch and Silver Charm and Grade 1 winners Cat Thief, Captain Steve, Congaree and Roses in May. 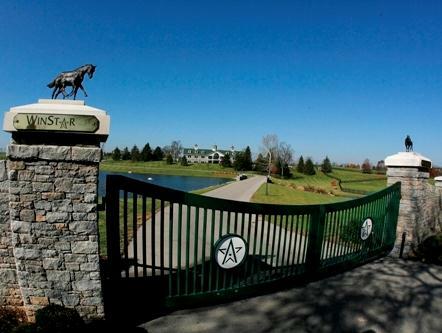 Stallions standing at WinStar Farm will lend their names to the four undercard stakes as well. The four races will run as the Distorted Humor Kentucky Cup Distaff (G3), the Speightstown Kentucky Cup Sprint (G3), the Bluegrass Cat Kentucky Cup Juvenile, and the Tiznow Kentucky Cup Juvenile Fillies. The $100,000 Distorted Humor Distaff is for fillies and mares 3-years-old and up at 1 1/16 miles. The top three finishers will earn seasons to one of three WinStar stallions—Super Saver, Colonel John, and Hold Me Back—in addition to purse money. The $100,000 Speightstown Sprint, for 3-year-olds going six furlongs, drew WinStar's homebred Cal Nation as one of the race favorites. The Sprint has been won in the past by Reraise, 1998 Eclipse Champion Sprinter, 2008 Canadian Horse of the Year Fatal Bullet, and 2003 Breeders' Cup Sprint (G1) winner Cajun Beat. The 1 1/16-mile $100,000 Bluegrass Cat Kentucky Cup Juvenile will have a big favorite in Hansen, a 12-length winner in his only start at Turfway. The race has a rich history, with victories going to Editor's Note, Boston Harbor, Point Given, and Vindication, all who would go on to be named champion or a classic winner. The one-mile $100,000 Tiznow Juvenile Fillies returns after a two-year hiatus. The race drew a competitive field of 12. It has been won in the past by Love That Jazz, who would go on to be second in the Breeders' Cup Juvenile Fillies (G1), and Grade 1 winner Tipically Irish. The first post on Saturday is 1:10 p.m. ET.